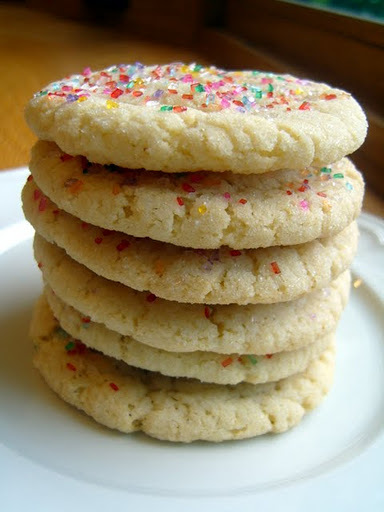 I know, I know…there are a million sugar cookie recipes. Why should you try this one? It’s soft and chewy in the middle, with crispy edges and a crackled sugar top. It’s not brittle or crumbly, so it’s a perfect candidate for a picnic basket or a lunchbox. It does take three bowls, but you don’t need a mixer. The recipe was developed by the test cooks at Cooks’ Illustrated, so you know it’s been engineered for success. I did adapt the instructions slightly, because my first batch did not turn out very pretty; the cookies all ran together and I had to cut them apart. By reducing the number of cookies on the baking sheet, they turned out perfectly round. And we loved the festive addition of crunchy sparkling sugar instead of regular sugar as a topping. I was a little skeptical about the yield of this recipe–only two dozen? That’s not going to last more than 48 hours in my house! 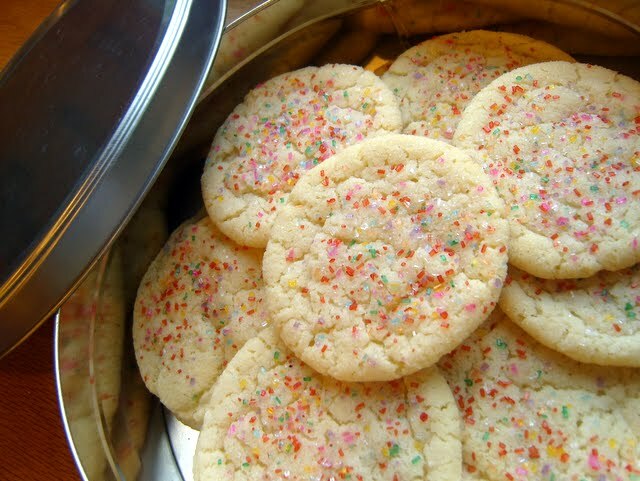 But these cookies bake up into 3-inch rounds, so everyone was content with just one cookie at a time. We should have enough to get us through the weekend, whatever the weather, and maybe a couple left over for lunches on Tuesday. Heat the oven to 350 degrees. Line baking trays with parchment paper or silicone baking mats. Whisk flour, baking soda, baking powder and salt together in a medium bowl. Place 1/4 cup sugar in a shallow dish and set aside. In a large bowl, add 1 1/2 cups sugar and cream cheese, and then pour the warm butter over and whisk to combine. 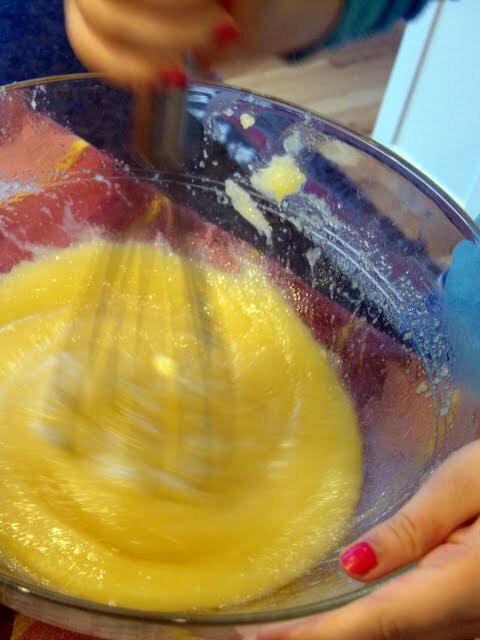 Whisk in oil, and then add egg, milk and vanilla. Whisk until smooth. Add the flour mixture and mix with a rubber spatula until the dough comes together. Scoop the dough, about 2 tablespoons for each cookie, and roll into balls. (The dough will be very soft. 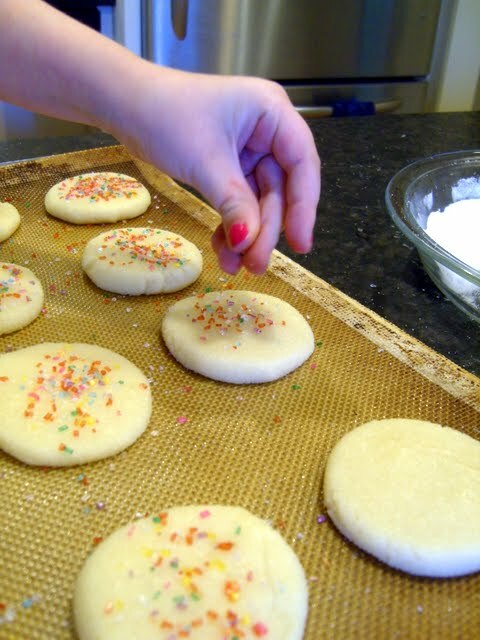 Handle it quickly and gently, and don’t worry about getting them perfectly round until after you’ve tossed them in the sugar.) Roll the balls in the reserved sugar, and place on baking tray in staggered rows, no more than 8 per tray. Flatten balls with the bottom of a glass until 2 inches in diameter. 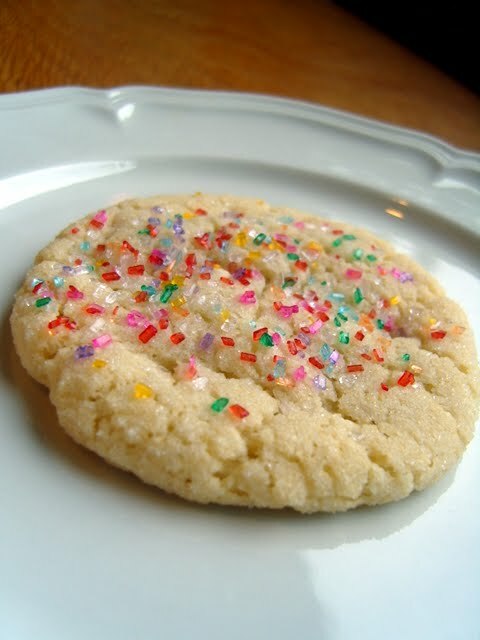 Sprinkle tops with sparkling sugar. Bake, one tray at a time, until edges are set and golden, 11 to 13 minutes, rotating the tray after 7 minutes. Cool cookies on the tray 5 minutes, then transfer to a wire rack to cool completely.